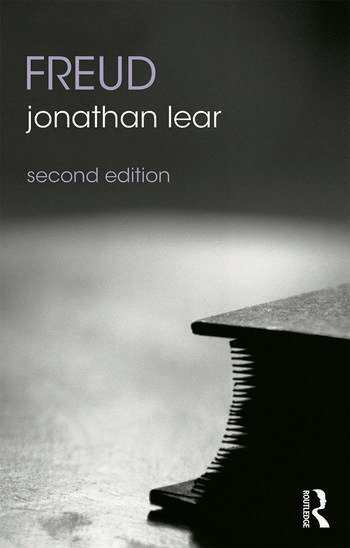 In this fully updated second edition, Jonathan Lear clearly introduces and assesses all of Freud's thought, focusing on those areas of philosophy on which Freud is acknowledged to have had a lasting impact. These include the philosophy of mind, free will and determinism, rationality, the nature of the self and subjectivity, and ethics and religion. He also considers some of the deeper issues and problems Freud engaged with, brilliantly illustrating their philosophical significance: human sexuality, the unconscious, dreams, and the theory of transference. Lear’s approach emphasizes the philosophical significance of Freud’s fundamental rule – to say whatever comes to mind without censorship or inhibition. This binds psychoanalysis to the philosophical exploration of self-consciousness and truthfulness, as well as opening new paths of inquiry for moral psychology and ethics. The second edition includes a new Introduction and Conclusion. The text is revised throughout, including new sections on psychological structure and object relations and on Freud’s critique of religion and morality. One of the most important introductions and contributions to understanding this great thinker to have been published for many years, Freud, second edition will be essential reading for anyone in the humanities, social sciences and beyond with an interest in Freud or philosophy. Jonathan Lear is the Roman Family Director of the Neubauer Collegium for Culture and Society at the University of Chicago, USA. He is also the John U. Nef Distinguished Service Professor in the Committee on Social Thought and the Department of Philosophy. He is a trained psychoanalyst, and the author of several acclaimed books on philosophy and psychoanalysis, including Aristotle: The Desire to Understand; Love and Its Place in Nature; Open Minded; Happiness, Death and the Remainder of Life and Radical Hope: Ethics in the Face of Cultural Devastation. His most recent book is A Case for Irony (2011). He is a recipient of the Andrew W. Mellon Foundation Distinguished Achievement Award.